Lafayette County is a county located in the state of Arkansas. Based on the 2010 census, the population was 7,645, making it the third-least populous county in Arkansas. The county seat is Lewisville. Lafayette County was formed on October 15, 1827. The county is named in honor of Marquis de Lafayette, a French military hero of the American Revolutionary War. Lafayette is named for Marie-Joseph-Paul-Roch-Yves-Gilbert Du Motier, Marquis de La Fayette, the French hero of the American Revolutionary War. Marie-Joseph Paul Yves Roch Gilbert du Motier, (formerly Marquis de) Lafayette (or la Fayette) (6 September 1757 - 20 May 1834) was a French military officer born in the Haute-Loire. Lafayette was a general in the American Revolutionary War and a leader of the Garde Nationale during the French Revolution. Lafayette county was formed on October 1827, from part of Hempstead County after the Quapaw ceded their land to the United States in 1818, the county was named after Marquis de Lafayette for his service to the American colonies in the Revolutionary War. The county seat is Lewisville. Poultry is big in the northwestern portion of the county while truck farms in the northeast send tons of fresh vegetables to larger markets. Lewisville, the county seat that is over 150 years old, celebrates its historic remainders of the plantation days. The burial ground of James Conway, Arkansas' first Governor is located in the Conway Cemetery. The Lafayette courthouse square is the only one in Arkansas containing a cemetery. Located on the east side of the square, the oldest tombstone is that of John Steele, dated March 9, 1860. Close by is the tombstone of First Lt. Egbert B. Steele of the First Arkansas Cavalry, C.S.A., dated November 1873. Lafayette county is a dry county; therefore, the sale of alcohol is prohibited. 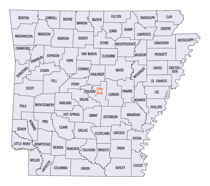 As reported by the Census Bureau, the county has a total area of 545 square miles (1,410 km2), of which 528 square miles (1,370 km2) is land and 17 square miles (44 km2) (3.1%) is water.It is the smallest county in Arkansas by area. The landscape is rolling hills, largely forested. 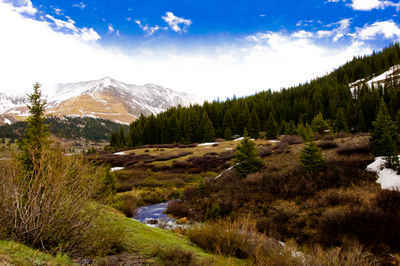 An abundant amount of the land today is owned by large timber companies, which manage trees for harvest and re-growth. Lake Erling is included in the Lafayette County Wildlife Management Area and is together managed by the Arkansas Game and Fish Commission and International Paper Company for public use. Two other lakes, Lake June and Spirit Lake offer fishing, water sports and picnicking. The Red River along the western boundary of the county offers excellent fishing.